“It’s fun to watch the light bulbs go off as kids work through their thoughts,” said a special education teacher during a Twitter chat organized by the Massachusetts School Administrators’ Association. See the transcript. Schools, districts, and teachers should actively foster a “safe” environment where questions and student-participation are welcome. That was among the recommendations from educators who participated in a January 8 Twitter chat about the Question Formulation Technique and the power of questions in the classroom. It was part of a monthly Massachusetts School Administrators’ Association chat series where educators discuss issues in teaching and learning. Participants joined the conversation at 8 p.m. by monitoring tweets associated with the hashtag #MSAAchat. Staff from the Right Question Institute and Ellen Gammel, an EdTech specialist, co-hosted the chat with Geoghegan, and participants from multiple states joined the discussion. While a teacher asks on average 120 questions in an hour, a student asks only 3; why aren’t students asking more questions in our classrooms/schools? What do you see as the value of our students asking questions? How can one see the connection(s) between curiosity and learning in your classroom/school? What is the culture around questioning in your classroom/school/district? Please explain. What tools or strategies have you utilized that support your students to ask more questions? How can we support teachers in making classroom spaces safer for ALL students to ask questions? What opportunities are there for adults to ask more questions in your school or district? Educators offered insights into these topics. Bonnie Nieves, a science teacher, suggested curiosity is a key ingredient in learning. “There is more active learning because student-generated questions add value and purpose to learning,” she said. Teachers spoke of the joy that comes from watching students learn by producing their own questions. 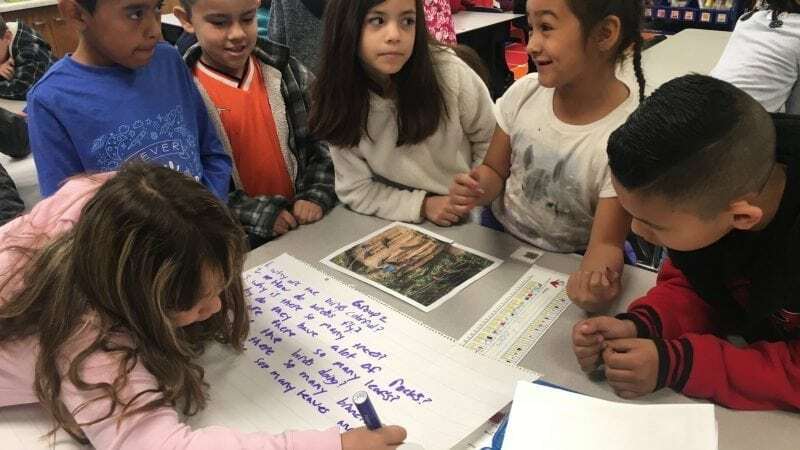 “I have gotten much more enjoyment from a student-led environment than from my previous teacher-centered classes,” Nieves wrote. “It’s fun to watch the light bulbs go off as kids work through their thoughts,” said Tracy McGarry, a special education learning specialist. “What teacher doesn’t love it when students have aha moments?” Lennon asked (almost missing her train stop as she tweeted). And it’s not just students. “Teachers need professional development and safe space themselves to see [the] QFT in action, to get so excited about it they HAVE to bring it into their classroom,” said Lennon, referring to the Question Formulation Technique. “The QFT is often used with faculty and school leaders to build consensus around school norms, reflect on practice, and create strategic plans for improvement,” noted the Right Question Institute. Because Tweets often contain abbreviations and creative syntax in order to stay within character limits, some of the comments above have been lightly edited for clarity. If you missed the Twitter chat, you can read an abridged transcript of it below. You can join future conversations by following the Right Question Institute on Twitter at @RightQuestion.